My name is Rory Walker and I have decided to take part in the #BlackPantherChallenge for the Salem Community. 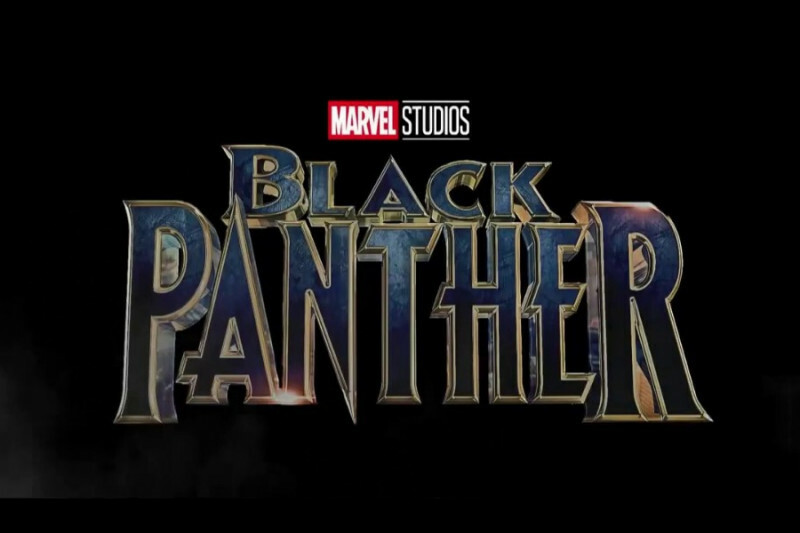 "Black Panther" is a highly anticipated Marvel film that showcases our first major(Sorry Blade) standalone Black Superhero with a predominantly black cast and black director. This film doesn't depict our hero as a comedian, rapper, athlete, sidekick or someone that was born out of dire circumstances. This film focuses on legacy, royalty and the origins of birthright. This movie challenges the status quo and should be treated as a celebration for people of all races. The impact this film specifically has on our African-American youth can potentially send them on paths that don't have to strictly fall underneath the categories of athlete or entertainer. 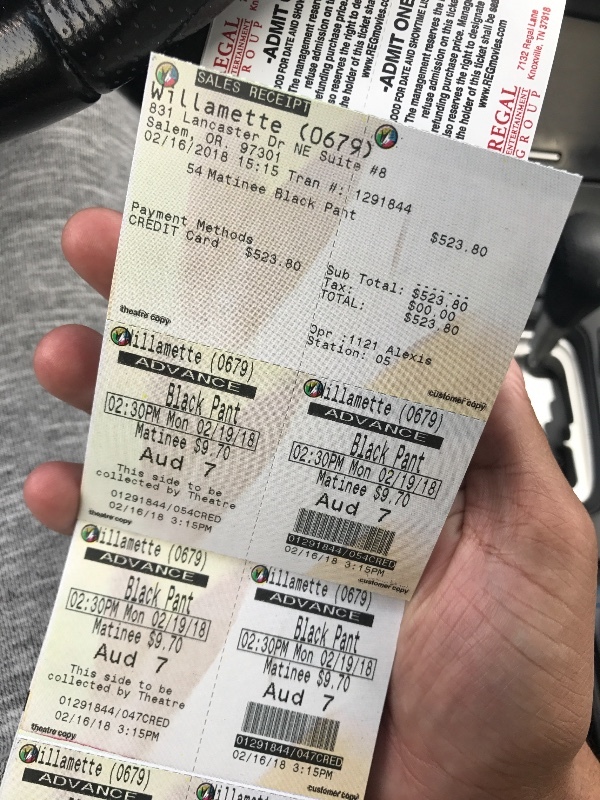 The importance of our youth seeing a Black hero that isn't confined to the social constructs of our society has inspired me to raise awareness and money for them to be able to see "Black Panther" together. What does this mean to me? A LOT. I am a comic book nerd that has always found relief from real-life stress through adventures and story-telling. Most of the superheroes I grew up with are predominantly white. I grew up as a kid wanting to be Batman or Superman, but was always aware that I couldn't be either of them because of the constant reminder that "They aren't black". Halloween was awkward. Growing up in a predominantly white town while also being mixed had lead to somewhat of an identity crisis for me as I was not viewed as "white" by my white peers, nor was I consistently viewed as "black" by my black peers. I struggled with understanding heritage and color for a great portion of my life as a kid. Being the odd one out with my white friends or being made fun of for acting "white" by my black ones. What is the definition of being "black"? What is the definition of being "white"? I came to a realization later on that there should never be an associated color with an individuals personality. If my white and black friends say I'm the "whitest black guy they know" then what are the associated actions of the "blackest black guy"? Probably negative. These thoughts have manifested into my passion today for helping our future generations leave behind this type of oppressive thinking. Nobody should have an action or path that they're expected or assumed to take because of the color of their skin. Everyone should be viewed for who they are, individuality doesn't have a color. It's important that all of our youth see people of different races in many different fields of work. For example, I grew up surrounded by the idea that being successful as an African-American meant that I needed to become a professional athlete or some sort of musician. After I realized that I wasn't interested in either, I was stuck. I didn't know where to look. Many African-American role models do fall into stereotypical categories. Thankfully, my father has continuously inspired me to look outside the box as he himself is a successful African-American entreprenur. It is often assumed that he is a retired ball player, instead of the assumption that he is a smart and dedicated businessman. I believe proper association begins through proper representation and this is why I initiated this challenge. What are my campaign goals? I have 2 goals for this challenge! My 1st goal is more entry level and personal to me as I would like to raise money for students in the Salem-Keizer School District and a couple of the churches that I grew up around in Salem to gather together and see this movie without having to worry about finances. Our youth shouldn't have to wait for this movie at Redbox, they should be in a theatre celebrating a historical feat during such a divisive time in our world. I want to make this a positive experience for them to remember for a long time. I would like to reserve an entire auditorium exclusively for them to view this movie, as well as provide concessions. The total amount we need to reserve the 122-seat auditorium, as well as treat the youth to concessions is $2000! ***Update: After we were able to raise the funds to secure the tickets for our theatre, a couple more members of our community decided to take care of the cost of concessions! We have officially achieved our 1st goal! My 2nd goal is much larger as I would like to also raise the funds for our local Boys & Girls Club to have the opportunity to take their youth to see the movie as well! I am currently in contact with the Boys & Girls Club to get approximate head counts and details for how we can achieve this feat! If we are able to reach our 1st goal then I will be increasing our Campaign Goal for these youth! I have teamed up with my younger brother to film the entire process of making this challenge happen through a documentary-style video. The video will include the organizational process of the #BlackPantherChallenge, interviews with the youth and youth-based leaders in our community, discussion about why this Challenge is important and most importantly: Capturing the positivity this experience will bring. I will be including the names of our donors in the credits and will be sharing this video via Facebook as a thank you for making this happen for our community! ***The organization donation and movie purchase receipts will be sent to campaign donors after the campaign is finished! Please contact me if you prefer to remain anonymous! After raising a little over $1200 here on GoFundMe and an additional $700 from my father and anonymous family friends, we have been able to secure an even bigger auditorium! Our screening is tomorrow afternoon and we are now seating over 170 youth! With nearly $2000 raised total and the auditorium cost being about $1700, I began brainstorming on how to provide concessions for an updated number of 170 kids with $300(more great news incoming)! Yesterday, I was able to have a conference call with the Board of Directors for Salem-Keizer's branch of NAACP and they've generously donated $1000 to the BlackPantherChallenge so that all students can be provided concessions! Receipt for upgrading to the 178 seat auditorium, an additional 56 seats that we purchased, but they cut it down to 54, not much, but hey that's better than nothing! 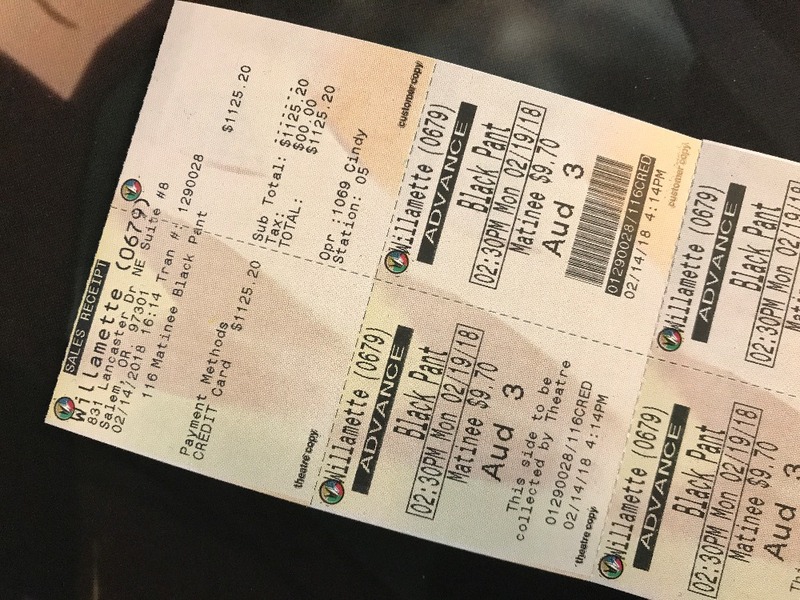 We have officially bought our tickets for "Black Panther" this Monday! I also had a chance to speak with the Statesman Journal today and they would like to share our story! A big thank you to them for reaching out to us! I am currently waiting for a call back from the Boys & Girls Club to start preparing for our 2nd goal this evening! We have officially secured our theatre! Hi everyone! I spent the morning over at McKay High School speaking with Ronnie Brooks(Parent Outreach Coordinator and Pastor of "To God Be The Glory"). We were able to work on the Campaign and also talk with Cynthia Richardson(Director of Student Equity, Access, and Advancement of the Salem-Keizer School District) about including our Salem-Keizer African-American Student Union to the Challenge! Halie Peplinksi of the Boys & Girls Club also followed up with me this morning and was very happy to hear about this Challenge! She has informed me that she will be having a Staff Program meeting tomorrow and Thursday to help figure out head counts from their facility so I can update the number for our 2nd Goal! She will be following back up with me tomorrow and Thursday! Thank you everyone and I will continue to keep you updated!